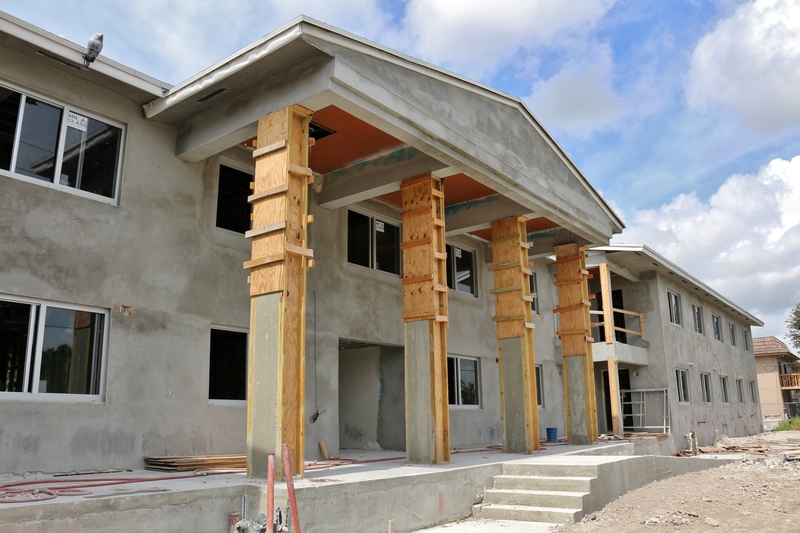 Prestige Estates, a property management and development firm led by former NFL star Elvis Dumervil, has announced that $4 million in renovations are nearing completion on the four story, 51-unit Prestige Waterfront multifamily rental apartment complex at 13150 Memorial Highway, North Miami. The one-, two- and three-bedroom, one to two-bathroom apartments are undergoing a complete transformation to a modern new look. Each luxury apartment ranges from 435 to 880 sq. ft. and comes with complete quartz countertops, new cabinetry, stainless steel appliances, European marble floors, fresh paint, a washer and dryer, free internet and Direct TV. The pet-friendly building will have numerous upgrades including impact doors and windows, a new air conditioning unit, cutting-edge security cameras, a renovated lobby, state-of-the-art fitness center, gated parking and lush tropical landscaping. Some units have new balconies and a waterfront view. Rents start at $1,100 per month for a one bedroom. The building is highlighted by Prestige Estates’ signature royal blue doors. A prime location is also important to Dumervil. Prestige Waterfront has easy access to major roadways, Aventura Mall and schools and universities. “College students will love our building, not only because of the interior features and building amenities, but also because of our close proximity to Barry University, Florida International University and Johnson & Wales,” Dumervil adds. Prestige Estates is a private property management and development firm with multifamily properties throughout Miami-Dade County. Properties include Prestige Waterfront, Prestige Place Apartments, Prestige Courtyard, Prestige Pointe and Prestige Village in North Miami, seven apartment buildings in Fort Lauderdale and single-family homes in North Miami, Fort Lauderdale and Oakland Park. The firm is led by Elvis Dumervil, who spent 12 seasons in the NFL as a star defender and five-time Pro Bowler, was drafted by the Denver Broncos and also played for the Baltimore Ravens, where he set the record for the most sacks in a season in 2014. For more information, visit www.gpestates.com.